I'm german, so my technical english is maybe not so good. A friend of mine has a Chrysler voyager diesel. Don't know the year. Must be something like 1999 or 2000. The full charged battery gets empty after only one night. 7.8 Amperes going away. couldn't belive my eyes. By pulling out the fuse called "Memory I.O.D", next to the engine, the consumption goes down to 0.02 Amperes. Can someone tell me what this fuse is for please? Are there thypical breakdowns on this cars who could cause this problem? IOD stands for "ignition off draw". It's for things that can draw current when the key is not present. Things like the clock and the receiver for the remote key fob, the interior lights and the power seat. 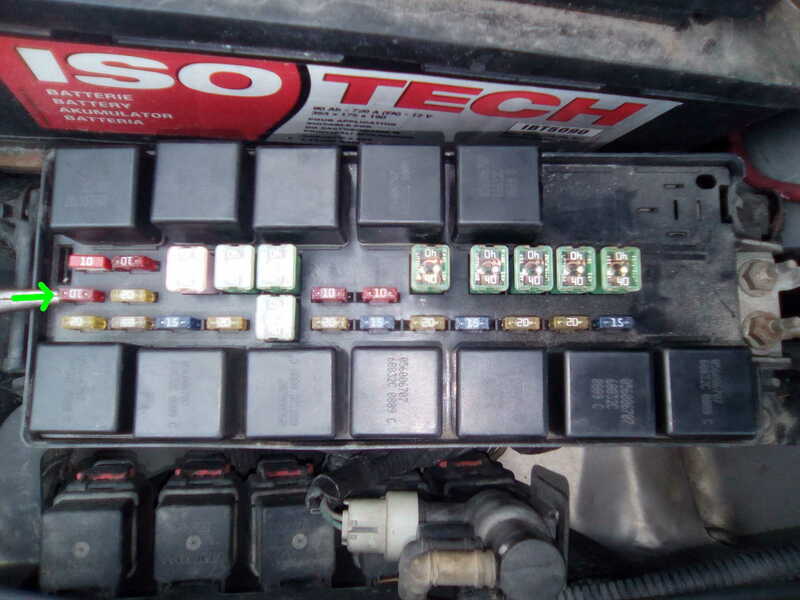 The purpose for this fuse is so that when the car sits on the dealer's lot, waiting to be sold, the dealer can pull this fuse and there should be no current draw at all. This keeps the battery from running down. With the fuse in place, the draw should be less than 0.050 amperes. Look for a short of some kind in the radio circuit, interior lights, body computer, remote key receiver, power seats. And welcome to the forum. When you have questions relating to issues with the car, post them up in the car sections further down the front page. And sorry for not posting at the right place. I'll do better next time. The most suspicious in a first time is the radio for me. It's not the original one, and the owner of the car told me that it's not working correctly all the time. I don't understand what "power seat" is supposed to be. Air bag system? Heated seats? Electric ajustment? Ejectable seat :-) ? The "power seat" refers to the motor(s) that move the seat forward, back, up and down using the switch at the side of the seat. Some seats can only be adjusted manually, by releasing a catch and then pushing the seat to the desired position. A power seat can be adjusted easily by means of a motorized drive controlled by a switch or multiple switches. Usually the seat can be adjusted before the driver inserts the key. Thus the seat is electrified through the IOD fuse. Mpg and the IOD fuse. Switching IOD fuse to save battery.